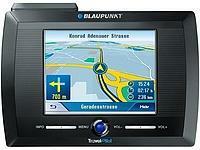 ▷ Blaupunkt TravelPilot Lucca 3.5 Edition update. Speedcam for your maps. Download update. Free custom download. 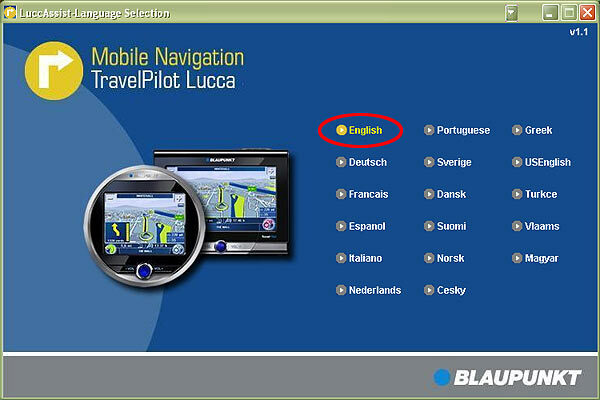 In order to update your GPS device: Blaupunkt TravelPilot Lucca 3.5 Edition with the latest update, follow next instructions. 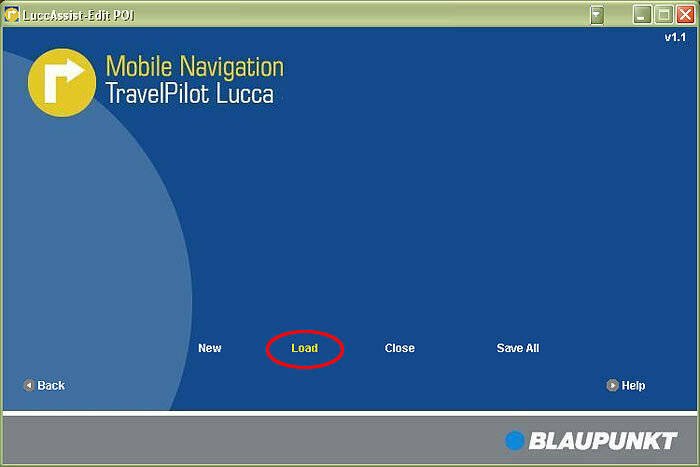 First of all, be sure you got the update file for your Blaupunkt TravelPilot Lucca 3.5 Edition device, downloaded from SpeedcamUpdates.com. 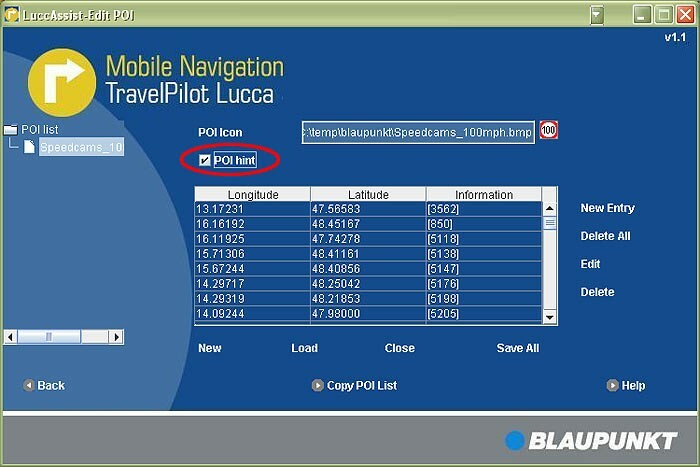 In order to install the speedcam information into your Blaupunkt TravelPilot Lucca 3.5 Edition device you have to download LuccAssist application. Click the next link to download. If you don't have 'LuccAssist' software, then you can proceed with step number 6. Connect your Blaupunkt TravelPilot Lucca 3.5 Edition device to your PC using USB cable. Run LuccAssist application. Once running LuccAssist select your language and click 'Load'. Browse the folder where you extracted the zipped files before. Select the first file in the list. Activate the checkbox "POI hint". Doing this you'll receive a warning when approaching to the speedcam. Repeat this procedure with the rest of the files in the folder. 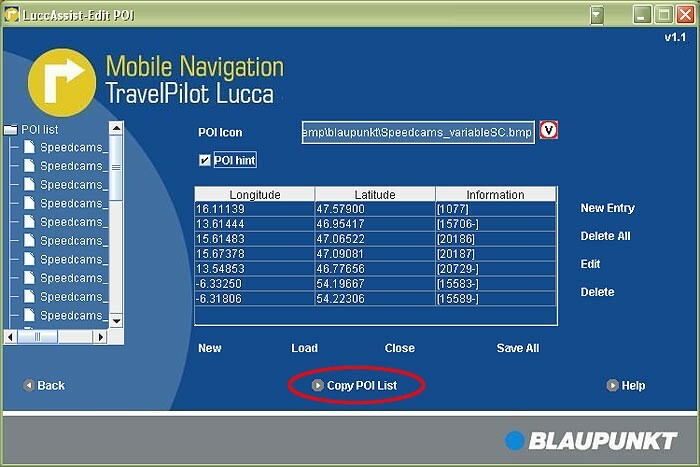 When you finish processing all files in the folder, click "Copy POI list" to transfer all the information into your Blaupunkt TravelPilot Lucca 3.5 Edition device.